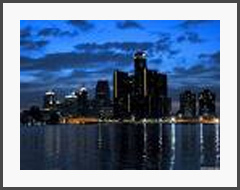 Delray Security Consultants Inc. has been serving the Detroit Metro area since 1998. Founded by Rodolfo (Rudy) Garcia, a retired Detroit Police Officer with over 20 years of service, Delray Security has maintained its high level of dedication and service to numerous companies and organizations. The company continues to excel in loss prevention and client satisfaction. We provide professional male/female, armed and unarmed, uniformed and plain clothes security officers. The majority of our employees are current or recently retired Detroit Police Officers with a vast amount of law enforcement experience. All other employees are closely screened and must possess a background in law enforcement. Delray strives on retaining individuals who are motivated, trustworthy and reliable. Our business philosophy stresses being the best, not necessarily the biggest service provider. Our goal is to stay in close contact with our clients so that we can remain responsive to their needs. Delray Security has proven time and again that we have the ability to handle both the routine and the extraordinary circumstances with performance excellence. We are fully prepared to anticipate and meet the most stringent security requirements. Security services offered include, but are not limited to, construction sites, independent business security, factory/warehouse patrol, investigative services, insurance fraud investigations and response to threats of workplace violence. K-9 units available upon request, or as needed. Delray Security Consultants is certified and recognized by the state of Michigan under the Michigan Minority Business Development Council. ©2009 Delray Security Consultants Inc. All rights reserved.